We're here to connect you with the resources you need to launch your first career in healthcare and earn your medical assistant certification. Visit our degree guides and career center to learn more about medical assisting or select your state’s page to learn how to become a medical assistant where you live. Ready to find a school? Get started with our extensive directory of over 1,400 accredited campus and online medical assistant programs. To start, we collected data from the National Center for Education Statistics (NCES), including both for-profit and nonprofit schools, ensuring an equitable comparison of all institutions. As we conducted our own research and verified our data, we adjusted the rankings to reflect issues most important to prospective students. Certified medical assistants ensure that services provided in physician’s offices, clinics and other healthcare settings run smoothly. According to the Bureau of Labor Statistics, medical assistants will see 29% growth in the next decade, a notably faster than average rate. Accredited online medical assistant programs offer highly accessible and flexible options for working professionals to complete their education and earn their medical assistant certification through the Certified Medical Assistant (CMA) exam. Other benefits of choosing a medical assistant program online include more individualized attention, increased group discussion, self-paced learning and a flexible schedule. Medical assistants’ training usually bridges the gap between administrative and clinical support. Online medical assistant programs may focus on one or the other, but generally cover topics such as lab techniques, medical terminology, clinical procedures, medical office procedures, ethics, patient relations and medical law. Medical assistant online programs all vary in format, but all feature virtual meetings, group discussions and digital assignments. Choosing online education opens the floodgates to more programs than those offered solely on-site. We’ve found the best medical assistant programs online for you to ease the burden of your search. 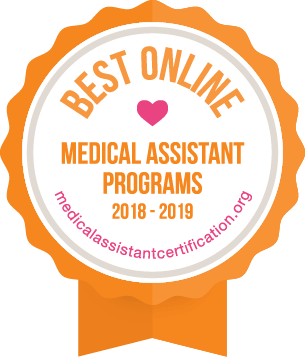 If you are interested in joining the burgeoning field of medical assistants or earning a certification, explore our list of the top online medical assistant programs to find the program that best fits your needs. This program is designed for those already holding a medical assistant diploma/certificate who seek to expand their skills in areas such as communication, psychology, sociology, nutrition or biology. Within the administrative track, students can study computer software applications, healthcare information management and medical law or ethics. In the clinical track, students can study emergency response, health assessment and pathophysiology. This online medical assistant program functions as a hybrid; students complete the first half of the program on-campus and the second half is taken online. Course topics include phlebotomy/hematology techniques, health records management, electrocardiography and others. Trained and licensed on-campus instructors from Blue Cliff design and teach the courses featured online. This program is a hybrid; students complete the degree both on-campus and online. 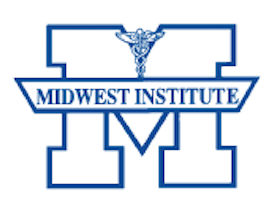 All instructors at Midwest Institute are registered nurses or medical personnel. Instructors work one-on-one with students to prepare them for working with patients. The Boost Program, the student assistance program offered by the College of Health Care Professions Online, offers counseling and other services to help students balance their personal and academic lives. Clinical experience is covered over the course of three weekends at a local campus. This program offers career placement after students finish the degree. The College of Health Care Professions is institutionally accredited by the Accrediting Bureau of Health Education Schools (ABHES) for both degree and non-degree programs. This program prepares students for clinical duties like measuring vital signs, assisting physicians with exams, administering injections, venipuncture and performing electrocardiograms. Clerical skills are also taught, including how to maintain patient records and prepare insurance claims. After completing the program, students should be prepared to take the Registered Medical Assistant (RMA) credentialing exam given by the American Medical Technologists (AMT), as well as the American Association of Medical Assistants (AAMA) exam. The medical assistant program lasts approximately 12 months. Students complete the Certified Clinical Medical Assistant (CCMA) Exam, CPR certification and First Aid Exam all before graduating. Students attend a week long boot camp that involves 60 hours of hands-on practice in a lab. The program is recognized by the American Medical Technologists; students will be eligible to sit for the Registered Medical Assistant exam after graduating. Students also qualify for the EKG Technician Certification (CET), Basic Radiographer exam and Phlebotomy Technician Certification (CPT) after completing the program. Students must complete a capstone course in which they gain experience through an externship. There are two credential levels available: Certificate-level Clinical Medical Assistant (CMA) and Clinical and Administrative Medical Assistant (CAMA) program. Graduates of the CAMA program can earn an Associate of Science (A.S.) degree. Graduates of both programs are eligible to sit for many certification exams, including the AAMA; the school pays the exam fees for the first exam the student takes after completing the program. This program focuses on the administrative and computer skills needed to assist medical personnel. Career Services department available for alumni of CTC. Alumni are eligible for a 10% discount toward earning a bachelor’s degree at CTC. 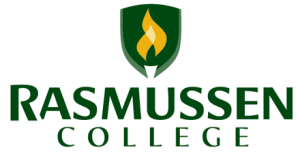 Unlike other medical assisting programs online, Rasmussen emphasizes supporting students by providing them advisors, virtual events, library and learning resources, a personal support center, career services and a program manager. Typically, online courses are limited to 15-30 students to make it easier for instructors to provide individualized attention. Technical support for students of Rasmussen is offered 24/7, any day of the week. This program is blended; students take courses on-campus and online. Classes start every five weeks and the program only takes 10 months to complete. An externship of 160-180 hours at a clinic, physician’s office, hospital, HMO or other medical facility nearby is required. Online support seminars allow students to interact formally with instructors and classmates. MTI reports a 99% job placement rate for their graduates. A clinical internship is required to complete the program; MTI provides resources to help students find the best internship for their needs. The Diploma in Medical Assisting Services requires 43 credits to graduate, and generally takes 12-16 months to complete. Herzing strives to provide individualized attention to all students, on-site or online. Herzing is the only accredited, private, woman-owned university in the US. Students take courses in technical mathematics, medical terminology, pharmacology, laboratory procedures, introduction to medical billing and coding and other subjects. A medical externship is required to complete the program. The Career Services department assists students in their job search post-graduation. The curriculum taught at Daymar is based entirely off of the entry-level field requirements for medical assistants. The program aims to build computer skills and general education to improve students’ overall ability to handle social and interpersonal situations on the job. The program takes nine months to complete. Students can test for NHA (National Healthcare Association) certifications. Job placement professionals are available to help students with resume preparation, interview skills and job searches. Whether you’re interested in campus or online medical assistant programs, our database can help you find the best school for you. Filter the list by what matters to you, including the state, school name, and online program offerings. We found programs that match your interest.